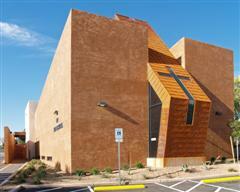 Breslin Builders provided construction services for the various buildings at the Shadow Hills Baptist Church complex. Included in the mix is their worship building, a gymnasium, a preschool, as well as administration, site, and playground facilities. 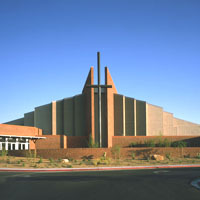 Breslin Builders provided value engineering and construction services for the new chapel facilities located at the Salvation Army complex on Owens in Las Vegas, Nevada. The concept called for unique finishes including walls intended to resemble a rammed-earth finish, exposed steel skin and structural members, and painted stucco. Working with the architect and various material suppliers, Breslin Builders constructed the facility using a concrete insulated panel system, which achieved the wall look and mass desired, while keeping costs under control. The interior features the same rammed-earth finish with stained concrete floors and exposed roof trusses. 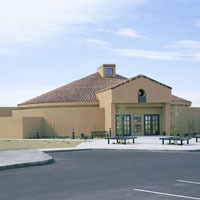 The project was fit into the existing site constraints and is the center piece of the complex, providing needed upgrades to the Salvation Army’s worship and religious facilities. Once again Breslin Builders addressed the needs of Seton Academy when they were looking to replace their existing dated facility with a new location. 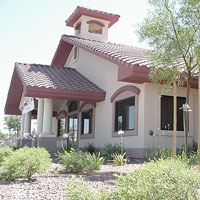 Basing the new design on the previously completed project in the northwest part of the Las Vegas valley, the new facility was adjusted to work with the surrounding neighborhood and adjusted program requirements. Located south of an existing elementary school and nestled in a quiet residential neighborhood, the “school house” design and materials makes Seton Academy a fitting neighbor, even without the previously included bell tower. When Seton Academy was looking to expand into the Northwest area of Las Vegas, they turned to Breslin Builders to provide both design and construction of their new facility. This new facility was designed to accommodate the many facets of their program including classrooms and support facilities, but also a large multi-purpose room that can be partitioned into two spaces for flexible use. Working with strict building codes, state licensing requirements, and health district regulations, the project has suited their program well. Located across the street from an existing elementary school, the building is approximately 12,676 square feet and includes a full playground area for preschool and kindergarten aged children.